Maid service Can be arranged, payable locally. 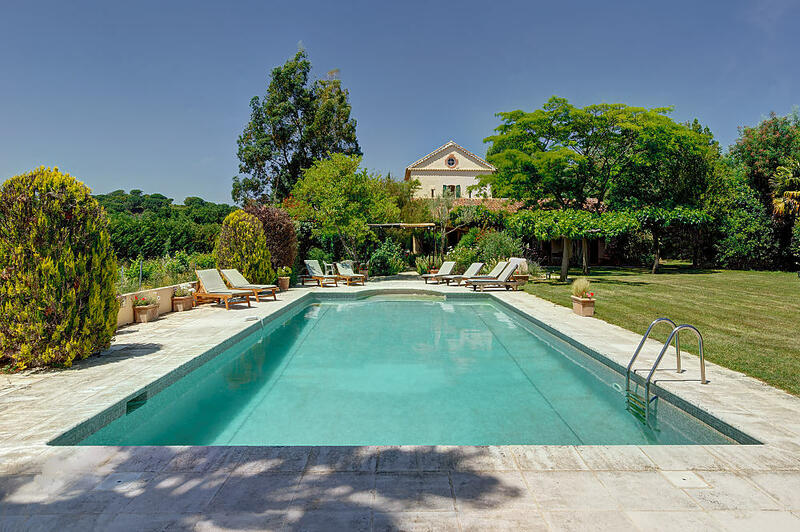 In a rural area with 8 acres of garden, lawns, vines, fruit trees and tennis court, L'Ancienne Gare is a charming former railway building now completely renovated (track of course long removed). 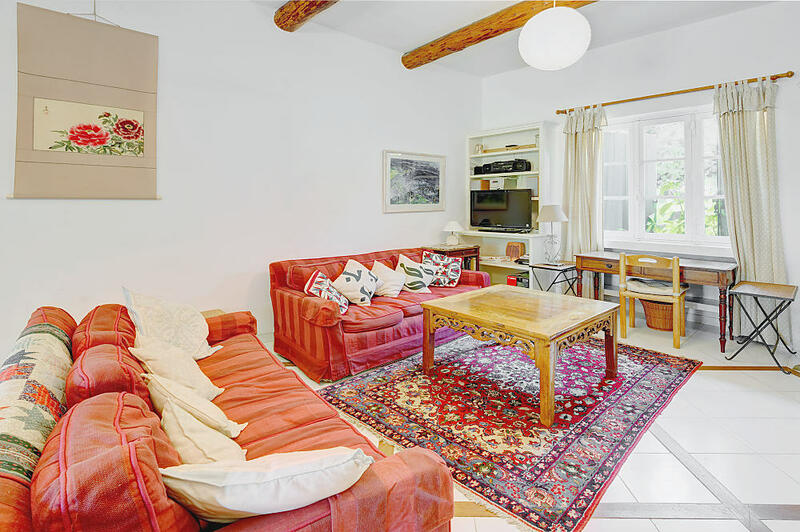 Extensions added more recently make it a large, flexible and easy to run holiday home with a wonderful view to the floodlit village of Gassin and across the wooded hills of the Maures. 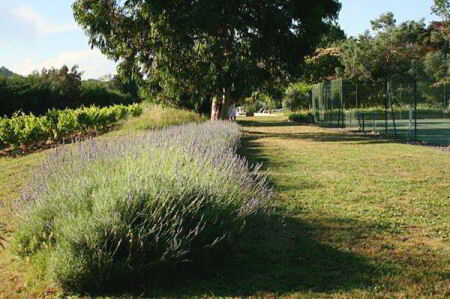 Back routes allow easy access to the beaches of Pampelonne (12 kms) and those on the south side of the Peninsula of St Tropez (5 kms), as well as to the hilltop villages of Grimaud and Ramatuelle. 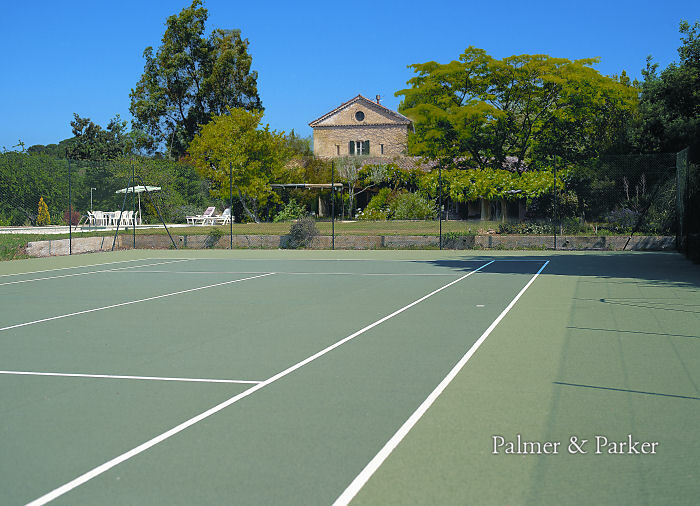 At 8km is St Tropez, possibly the best holiday town in the South of France for art, fashion, history, people-watching, huge yachts and night life. 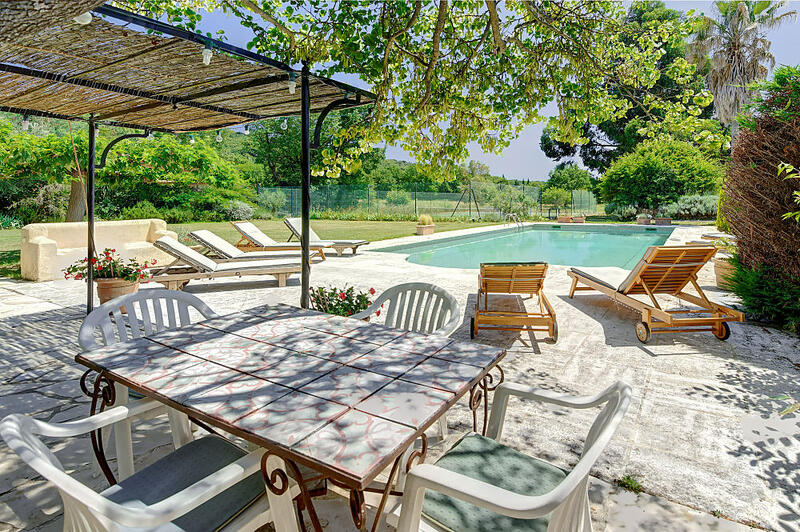 Good restaurants are all around - Gassin (2 kms), Gigaro - (6 kms) Ramatuelle (6 kms), Grimaud (6 kms) and St Tropez (8 kms) plus endless beach restaurants. 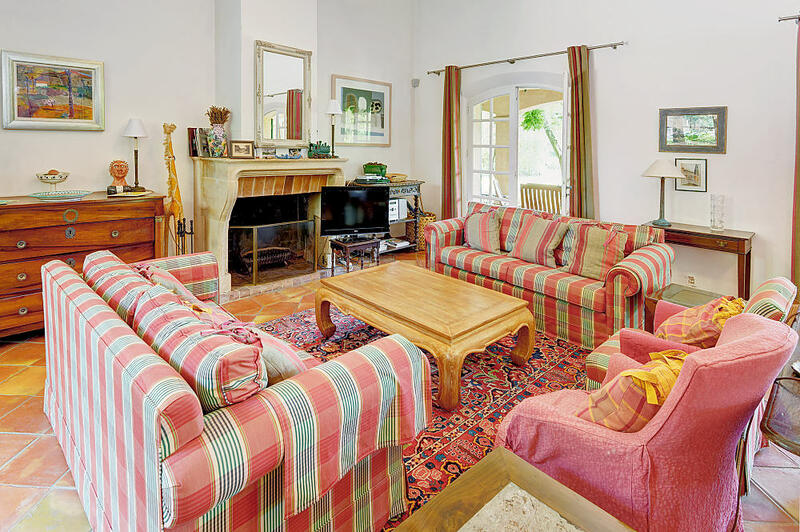 Accommodation includes newly refurbished open plan kitchen and dining area to the large, high-ceilinged living room which has three sets of doors on to the wide south-facing terrace with sitting and dining furniture. 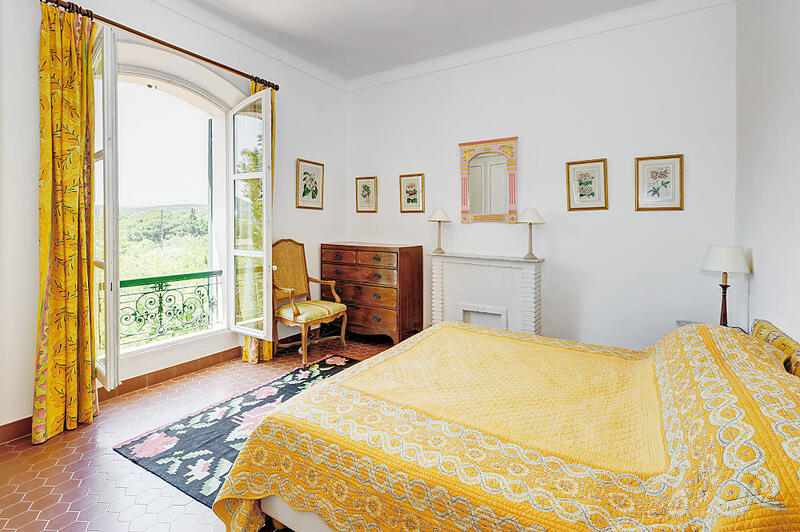 The master bedroom also has French windows onto this terrace, a generous wall of cupboards and en suite bathroom. 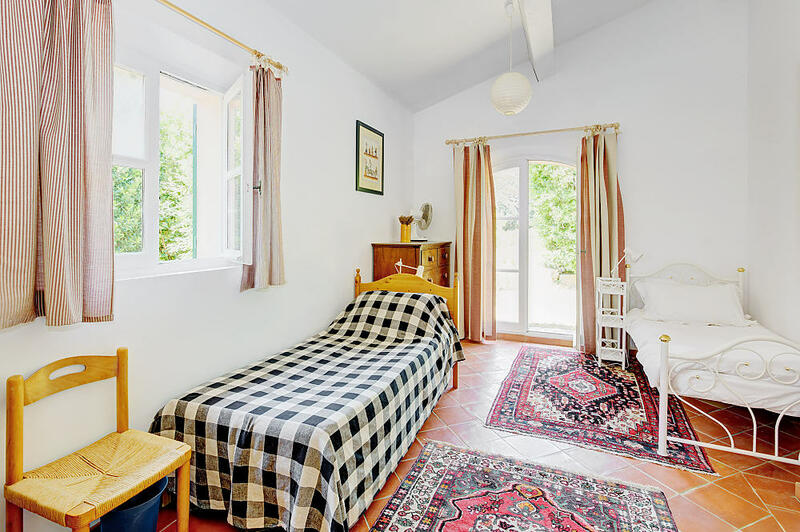 A separate sitting room is perfect for young people and has a music system, TV (free to air with BBC) and piano leading to two large, modern bedrooms, each with flexible accommodation for 3 sharing a bathroom. Another bathroom is also on the ground floor. 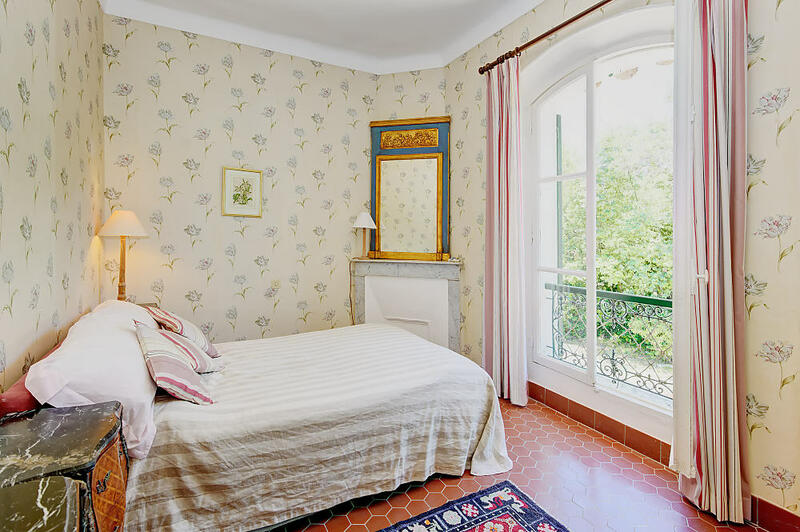 With eclectic and attractive furnishings to a good standard, the house has tiled floors and rugs throughout.